Welcome back to Tuesday Tunes! We try to focus on new music, but we could not let Pavement pass. Last year they announced they were reuniting for a big world tour, and will be releasing a the first ever Pavement compilation to celebrate. Finally we have some details – but you can make up the rest. The compilation is called Quarantine the Past, and it will feature 23 tracks, according to their label Matador. It will open with the fantastic Gold Soundz, from their Crooked Rain, Crooked Rain album, but after that – they aren’t telling us. But you can guess, and win. Matador are running a competition to guess the other 22 tracks. Full details are on their site, but cooler still is there is an award for ‘most creative’ tracklisting’. And they will even print up copies of the creative version for the next Record Store Day. A whole lot of reunion shows and this compilation is going to make for a big year for Pavement. But right now, Matador are also offering that opening track, Gold Soundz, as a free download (halfway down the page here). And look, there’s now even an official-like Pavement site. Magnolia Electric Co. - Josephine - out 20th Jul. Magnolia Electric Co., is the working name for Jason Molina. Molina battles it out with Dinosaur Jr‘s J Mascis on our heads as which musician today loves Neil Young more. We think Molina does most days – and that’s no bad thing or cheap shot. Molina is blessed with one of the great voices – too brittle for radio, but too passionate to be ignored. He also knows how to work an electric guitar. Molina once went under the name Songs:Ohia, and it was at that time we first discovered him, and we have followed his brand of indie folk ever since. The new Magnolia Electric Co. record is called Jospehine on July 20th through Secretly Canadian, his long time label. Most excellently, you can now download the title track from the MEC site. It’s a great little track – it doesn’t give away much if you’re an old fan – but it sounds like another solid outing. BUT, more excitingly is Molina offers some mp3s from his older albums as well. Imagine that! We love when bands do this. And we love it even more when they put up one of our favourite tracks ever, and we can now recommend that track to you. The song is called Farewell Transmission, and when we first heard it, we knew we would be following Molina around for a few more albums. We call him Molina because this was in his Songs: Ohia phase – and to make it more confusing, it’s taken from an album called The Magnolia Electric Co. Don’t think about it too much. (Yes it’s over 7 minutes long but very much worth it). And surprise, we downloaded a couple of other tracks from the MEC site and are loving them too. What a great way to get into a band – by listening to their music. 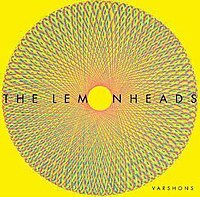 The Lemonheads took ten years off there, but came back with a solid self titled effort in 2006. Now comes the follow-up, a mish mash of disparate covers, under the name Varshons. Not sure where the name comes from, anyone know? We almost missed this one – so many tracks being given away, and only one Tuesday a week. The album is out this week, and it’s where you can find this track, and other tracks almost completely unlike it. Like we said, the record runs all over the shop. There’s even Liv Tyler singing on a track. Evan Dando is a loose cannon, but his music taste is flawless. Although there are detours into the catalogue of GG Allin (a great crazy man), Varshons features great songs from the likes of Leonard Cohen, Gram Parsons and the late great Townes Van Zandt. Van Zandt‘s elegant Waiting Around To Die is the track you can get for free today. Van Zandt is enjoying a bit of a revival, with Steve Earle‘s latest album being a tribute, and the latest Sound Opinions radio show being a Townes special. We love the man around here, and this track is one of his very best. The track is a link from the Lemonheads site, and you can just close that survey that eventually pops up after you give them your email. It’s a bit annoying to tell the truth. Get it here – http://www.thelemonheads.net/list.php – after some effort. When we decided to do this Tuesday Tunes column, we thought we might struggle to find one free legal download a week by established bands. Right now, we are looking at doing two a week. There is so much great music being given away for free in the world. We love it. 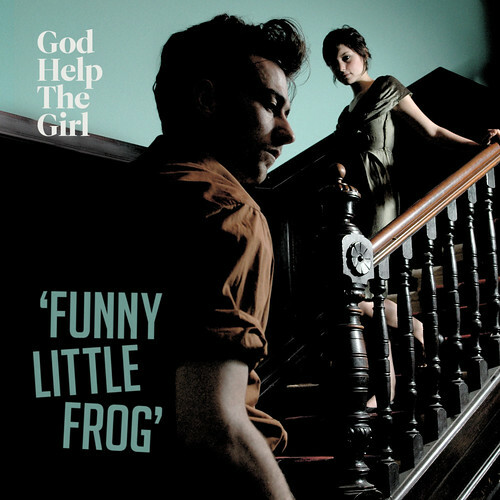 We can get away with calling this a bonus track because we’ve already posted a free track from God Help the Girl. It’s the new music/film project by Belle And Sebastian frontman Stuart Murdoch. Their self titled album is fast becoming our favourite album of the year. This track is a particular highlight, having already been a favourite of ours from the last B&S record, the Life Pursuit. This version is slower, sexier and more dangerous. The very exciting news that the Clean are releasing their first album in 8 years is a nice excuse to talk about Flying Nun Records. Lets face it, no one knows who the Clean are, but those who do love them. More than that, they are one of the most culturally significant bands, thanks to their groundbreaking first single Tally Ho. Quick history lesson: One of the greatest, most under-rated labels of the 80s was Flying Nun Records, from Dunedin, New Zealand. The label supported a small family of local bands, who created some of the greatest 80s indie songs ever – from jangle pop to post-rock. It was the New Zealand version of legendary labels like Postcard or Stiff. The Clean released the second ever FNR release, and their first chart success, with a song called ‘Tally Ho‘. They were one of the tent pole bands for the label, and created some of the label’s most timless music. That music made a big impact in NZ and also overseas, where all the right indie kids found out about it. In fact, the easiest way to get music by some of these bands are through US compilations. 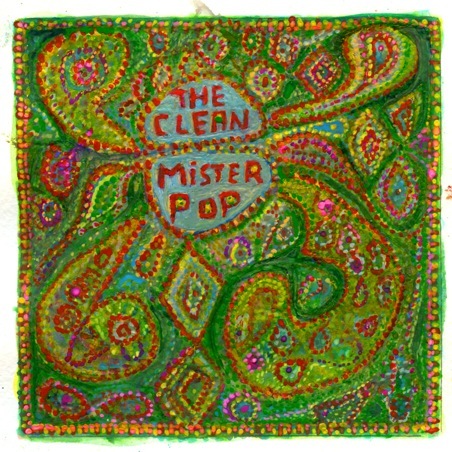 The Clean‘s Anthology – the best way to get the classic stuff, is on Merge Records. The fantastic North Carolina indie who brought the world bands like Neutral Milk Hotel, Spoon and Arcade Fire have now resigned the Clean for a brand new album. Listening to the new track (wonderfully titled ‘In the Dreamtine You Need A Rubber Soul), they’ve lost none of their indie pop smarts. They’ve also not succumbed to new technology to clean up their lo fi sound. It sounds as groovy as their early work, mining the same space as early REM, the Go-Betweens and Orange Juice. If you’ve not heard the name Bill Janovitz, you may know his band Buffalo Tom. Although not as big as other 90s alterna-rock giants, they were critically acclaimed and well loved for their emotional, passionate rock songs and Janovitz‘s great vocals. Although it’s been over a decade since their heyday, Janovitz has embarked on a (quietly) ambitious project to record an new cover a week, and giving them away on his blog. Janovitz is older now, and has kids and a day job. He does a weekly residency in Boston and as a way of getting music out there, he has created this little “self-assignment”. 30 weeks in and he has yet to miss a week, although he is honest on his blog about how close he comes. It’s one of the charms of his blogs; the stories he tells of what he has decided to cover. And what led him this week to the song. A conversation with a friend, a gig that he saw or something he read in a magazine can set him off. He also went seasonal for Christmas, New Year’s and the presidential inauguration. Reading this blog, you feel like you a peering into a man’s music diary. Which is essentially what this is. Above all, Janovitz, a talented writer, goes on about the past. How the songs he has chosen came into his life. Stories of family, friends and poker nights that conspired to lead him to a tune, the one he’s singing for you now. It would make a great autobiography. I’m sure Nick Hornby agrees. The range of songs Janovitz chooses is quite impressive. There’s breadth – from Hank Williams, Nina Simone, Sam Cooke, Bruce Springsteen, The Replacements, Blondie and Radiohead. But there’s also depth – little known gems by the Band (Whispering Pines), Husker Du (Hardly Getting Over It) and many others that have sent us back to the originals for another listen. Of course, quite a few gems we’ve never heard of at all. We caught a show in Boston and he covered two songs yet to appear on his blog that we loved – Neil Young‘s ‘Barstool Blues‘ and Elvis Costello‘s ‘Oliver’s Army‘. Also mentioned a few times is a new Buffalo Tom record in the works. They still tour every now and again. I’m almost going to be sad when they do, if it interrupts this down home, intimate experiment. Check out The Life And Times Of Bill Janovitz: Part Time Man Of Rock – http://billjanovitz.blogspot.com and get your mp3s now! Some cool links and thoughts on Buffalo Tom after the jump. Also the fantastic videos for the Buffalo Tom classics ‘Taillights Fade‘ and ‘Wiser‘ .